You might not think about them very often, but soffits are very important for your home and your own comfort. Soffits close the gap between the exterior wall of your home and the roof’s overhang. Most appear with a series of holes, but some can be solid with vents installed. These are much more than an aesthetic flair for you to customize your home. The holes and vents are designed to facilitate airflow in your attic, which comes with a range of benefits. Having airflow in your attic is important year-round. In rainy and snowy winter months, having a regular cycle of air will prevent moisture from building up which leads to mould, rot, and other problems for the wooden beams inside your attic. That damage could cost you a pretty penny when it comes time to have them replaced. In the summer months, not only will soffits keep moisture out, but they will also cycle out the hot air in the attic, helping keep those inside cool and comfortable. In addition to the benefits of a good airflow in your attic, soffits also prevent pests such as rodents, insects, and birds from entering the attic and causing damage of their own. They also keep rain, snow and debris from blowing inside when you are experiencing harsh winds. A quality soffit installed properly with the right material and style for your home can do wonders for completing its look and curb appeal. Soffits can come in a variety of colours as well allowing you to choose the perfect soffit for your home’s looks and personality. 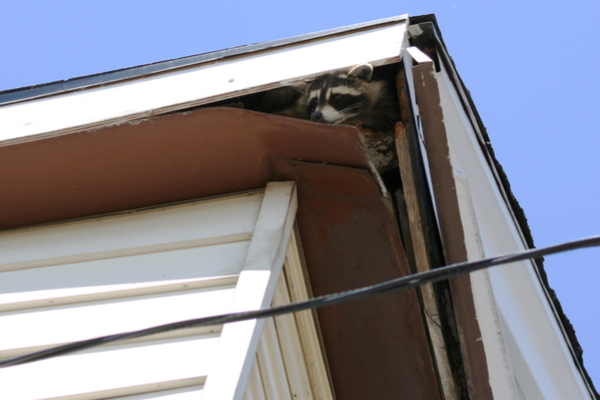 Like any other exterior part of your home, soffits can become damaged by animals or the elements, and need to be regularly monitored for any damage. Soffits can develop mildew, nests, or mould which should be removed as fast as possible before the problem worsens. Ensure it is done professionally with products that ensure their full removal. Crafty animals can also find ways to make holes in your soffit, and these should be dealt with immediately to prevent future issues. 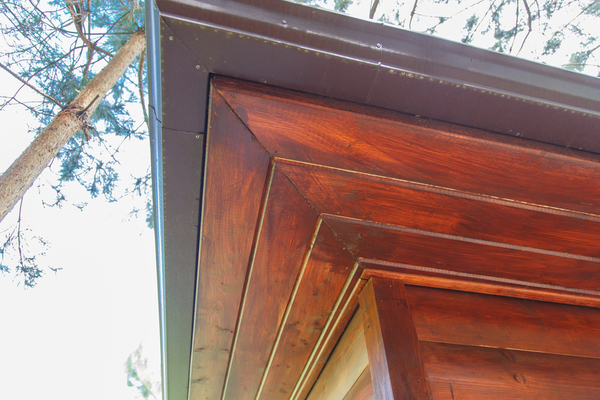 What materials do soffits come in? Along with vinyl, aluminum is one of the more popular materials chosen for soffit installations. And there is a good reason. Aluminum is cost effective, easy to install, and provides a nice clean look for your home. Malleable, aluminum is able to adapt to a variety of home designs. It is durable, non-combustible, and easy to keep clean. However, it can be subject to dents and is not the best choice for pure insulation. at said, vinyl when exposed to lots of sunlight and heat can become discoloured and brittle. While wood can be expensive and will be prone to rot over time, the natural look it provides is very desirable. Vents will need to be installed as well. Wood soffits by nature of the material are very customizable and can fit any type of home design. Steel will by far be the most durable and long-lasting material option for your soffit, but is less flexible in terms of aesthetic options. It will run a higher cost compared to aluminum, but is great for home and commercial soffits that would be difficult to regularly maintain and clean. 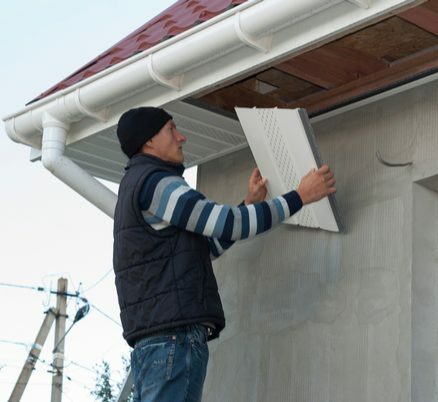 When it comes soffit installation and repair, choose Complete Gutters. With over 25 years of experience serving Vancouver, our professionals ensure your soffits are installed properly and look great. We use only quality rust-free materials and offer 10 years parts and labour warranty. Contact us today to find out how we can serve your home or business’s gutters, downpipes, soffits, and more!